Training workshops are typically 1 / 2 day sessions covering 2-4 modules. The modules are highly customizable depending on nature of industry and profile of participants. The workshops are highly interactive addressing contemporary management issues and challenges through experiential learning. Participants are typically – supervisory / middle management level executives. The workshops are designed for enhancement of knowledge on contemporary issues, current trends and best practices. A management consulting assignment involved working with the employees of an Australian Company whose employees were accustomed to blaming others for their inadequacies. b. Seeing their role in the larger perspective of the organization and keeping the mind open for innovations. c. Understanding interdependencies and how collaboration can create successes for each other. a. Developing awareness about individual styles and intrinsic group culture. b. Learning to ask generative questions as a means of adding depth to the group diversity. c. Building listening skills and withholding judgment about team members. d. Have outcome focused conversations. This program resulted in a dysfunctional set of employees transforming into an agile and disruptive thinking team. Each organization has a culture which not only provides the right working environment for its employees but also ensures adherence to the Company’s mission and vision. The values enshrined in the mission statement should manifest in the corporate culture. If the top leadership values integrity above all, every transaction must reflect the company’s belief and should be above board. These values will trickle down to all the employees and reflect in their dealings with customers, suppliers and help them even in their personal life. If teamwork culture is to be cultivated, the leaders have to practice it first amongst themselves. Fostering such an environment yields fruit in the long run and is great at motivating employees and helps the HR department in talent management. A good, enabling corporate culture empowers employees. However, many organizations do not pay much attention to corporate culture and foster inequalities which stifle the employees at the lower level and the Company could lose out on great ideas which would have been shared had the Company treated everyone equally. A good two-way communication system within the organization is that which while communicating Company values and core beliefs also welcomes open and honest feedback. A great corporate culture ensures that employees are taken care of resulting in their taking care of customers which would ultimately reflect in higher profits. Leaders have to apply their mind towards optimal talent management such that all employees are constantly motivated and give their best towards achieving organizational goals. Teams comprise of different personalities and leaders must understand what drives extroverts and introverts. Extroverts exhibit high levels of energy but tend to speak without thinking and could take rash decisions. Introverts however may be poor at multi-tasking and avoid large groups. Teams should have a balance of both types as imbalances could lead to either a clash of egos or a lack of team identity. Team members should be given flexibility and privacy to manage their workday as research has shown it enhances productivity of all personality types. During meetings, introverts can be encouraged to contribute if the agenda is circulated beforehand and they have had the time to formulate their thoughts. Extroverts have to be encouraged to listen and acknowledge their peers. The Myers-Briggs test can identify personality types and also drive home the point that each type of person can contribute in their unique way to the organization and are valued for their strengths. Employees can also be provided with a structured feedback format which gives even introverts an opportunity to express their views in case they were unable to do so in meetings. Today, traditional organisation structures and hierarchies are breaking down and more and more organisations are compelled to form project specific teams with each project differing from the other in terms of infrastructures, methodologies and locations. The resultant team resembles an improvisational musical ensemble because the environmental uncertainties do not permit a conducted orchestra. Teaming is a dynamic concept where learning and implementation occur simultaneously. Teaming builds on the concept that the whole is greater than the sum of the parts. It believes that individual flashes of genius can be harnessed into a single unit of collective genius. In order to get best results for learning and development purpose, organizations have designed a coactive vicarious method for management training . This is a hands-on ‘watch and learn’, method where the trainers themselves participate in the discussions and problem solving. Designated space must be created for vicarious learning. There may be mistakes along the way but knowledge must still be continually shared and encouragement provided to team members. The top management needs to create such a learning friendly atmosphere starting with innovations such as a team breakfast or ‘happy hour’ during the working day. Corporate Training programmes are set to undergo some changes and trends have been identified which will be relevant in the year 2016. Blended learning schemes are starting where e-learning is to be integrated to classroom programmes. Gamification has risen as a method of conducting training and development across industries. Mobile phones are also now being tracked as an aid to training programmes. M-learning platforms condense subject material in form to access easily on smart phones and related gadgets. A Learning Management System (LMS) is one which enables corporate training to take place remotely and usually from a central server. It can be accessed as a recording at later time in case the employee is unable to view live. LMSs enable interactions on global scale. The best ones such as Paradiso LMS offer complete integration with the Cloud. The SCORM technology is the leading one and its increased applicability has meant that it transports very well to the mobile phone which further facilitates e-learning. Substantial level of business innovation is taking place in the field of human resource management. The usage of technology is increasing at exponential rate. The organizational hierarchies are changing to greater social alignment to suit modern needs and trends. HR teams across the globe are incorporating the idea of a connected team. Talent recruitment is now taking place at a global level in order to scour the best possible candidates. Machines are indeed making humans’ work easier by fully integrating and being able to perform higher level functions without intervention. A business consulting publicationhas provided certain steps which if followed can help organization develop high potential employees. The organization’s talent management system needs to be reviewed on periodic basis. Employee upgrade must be equated to strategy level planning. Corporate strategy initiatives must thus be aligned to talent sourcing. Succession planning must also be carried out within the organization. Also talent review sessions’ composition, consistency and format must be evaluated. A comprehensive feedback system must be put in place. Crucially, workforce must reflect diversity. For those hired at managerial positions, on-boarding programmes need to be implemented more effectively. This entire process needs to be reinforced periodically before top potential employees may develop. Tim Baker discusses three major methods of development of human resource in an organization each having its own advantages and disadvantages. Together, they can assist you in building an effective method for developing the employees in your organization. The Production-centred approach is focused on improving the employee’s performance of specific tasks required to do a job. It is a direct approach with emphasis on improving job skills to increase the overall output and productivity of the organization. Organization interest supercedes employee interest. 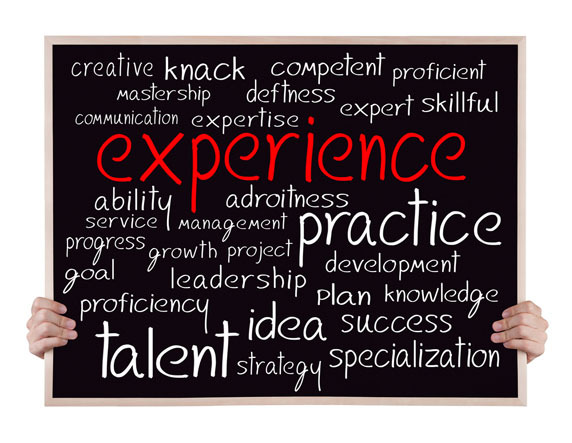 The Person-centred approach focuses on personal development assuming that learning experience has an indirect connection with work performance. It believes that development of personal attributes of employees will have a positive effect on their work performance and that capability makes capable employees. This approach is not preferred because of weak correlation between learning and job performance. Lastly, the Problem-centred method is based on the belief that by improving the ability of employees to resolve work-related problems will improve on-the-job performance. Problem-centred learning will assist employees to effectively deal with uncertain and unpredictable situations that occur at work with better decision making. A good approach to talent management which incorporates the strengths of the above methods might be the right solution.